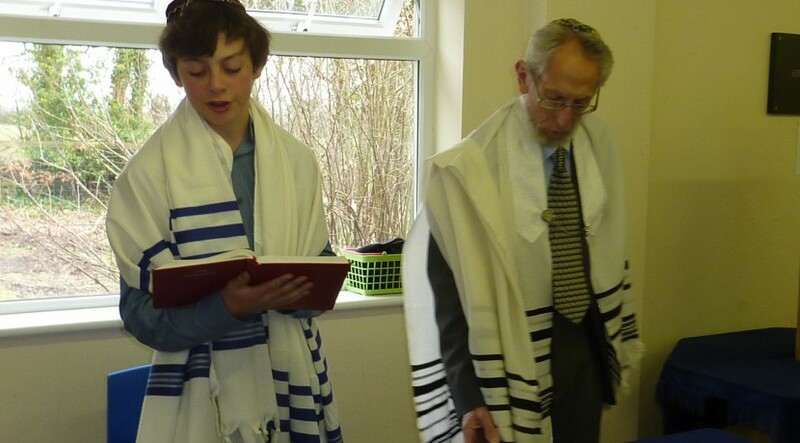 Isaac Feldman was the star of his Bar Mitzvah on Saturday the 13th of Tishri for Shabbat Ha-azinu held at Trelissick Gardens. His leyning of the Torah portion and handling of the Haftarah was done with consummate skill and in the most melodic voice. 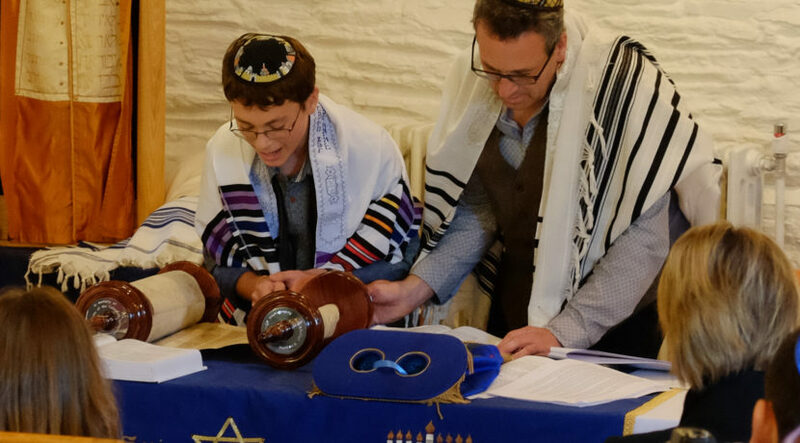 Both he, Harvey Kurzfield our chair and who tutored Isaac for the occasion, along with his father, Adam Feldman all conducted the special inclusive Shabbat service before the 80 people, friends, relatives and members of the KK congregation with great aplomb. The kiddush, luncheon hosted by the Feldmans, dancing by the resurrected Azoi, and speeches by all the key players of the Feldman family in this important rite of passage, made for a fantastic and moving simcha. Mazel tov, Isaac! Photos of Isaac Feldman’s Bar Mitzvah by Mark Johnson, Issac’s uncle. 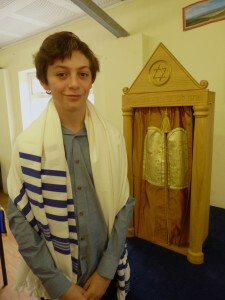 Zac Berger, now officially known in the family of Israel as Yitzhak ben Sha’ul, was joined by many members of the community, his family and friends for his Bar Mitzvah held on the 9th of Adar, Shabbat Zachor, the 28th of February at Shabbat services conducted by Chairman Harvey Kurzfield. Zac read the maftir passage from Parsha Tetzaveh, the Haftarah reading and sang the blessings for both in excellent Hebrew. Members of the community and his family participated in various parts of the service. Harvey, who tutored Zac for his Bar Mitzvah presentation, was visibly pleased with how well Zac did with his readings along with proud parents, Mr and Mrs. Saul Berger, his siblings and grandmother. 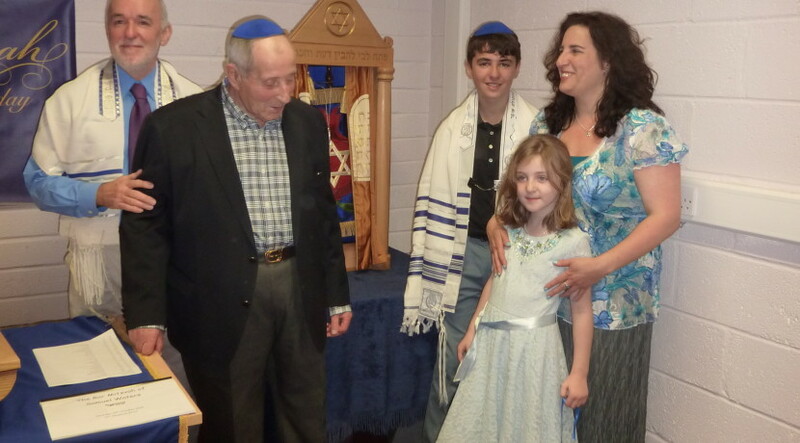 A fine Kiddush provided by the family followed to celebrate Zac’s major accomplishment. Rachel Brown, KK secretary, organised and prepared the venue for the event.